Felt making is hot ! An ancient technique is remeasured to its excellent results and is working with beautiful contemporary materials. Also, in recent years many innovative ways have been devised to work as adding other materials like silk paper or beads, three-dimensional felting, etc. afbindtechnieken, wool. Felt the various techniques You go with colored wool, soap and learn to make felt. We start with the basics to make. One piece You will also learn how to make felt, so you can make. Kinds of patterns with shapes and colors Do it once more in the fingers, then you might have a bag or hat by using a plastic mold. You will learn the front and back together without seams. The plastic in the middle mold helps to prevent the two parts on top of each other felts. 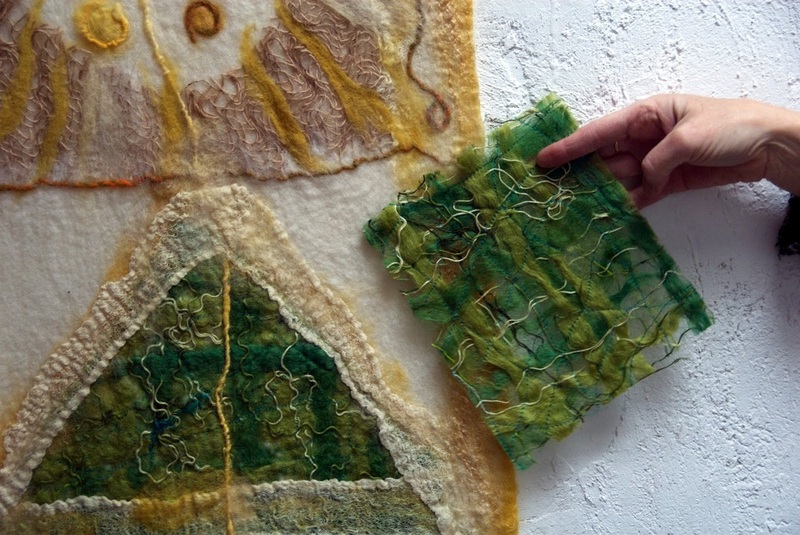 You can also form around existing or felt through afbindtechnieken spatial work maken. The course is designed as much as possible in the interest of the participants. Right now just felt making workshops ! € 165, - for 6 classes or € 30, - per lesson, including materials for experiments, exclusive material for larger pieces. The materials are for sale at the studio . Max. 6 people per course. H.C. van Klinken te Amsterdam, with your name and which course. Henriette teaches a course during the summer in France. The course will be held in guesthouse 'La Bouysse' at the River Tarn in Southern France. In the studio, handmade scarves, hats, etc. are sold. 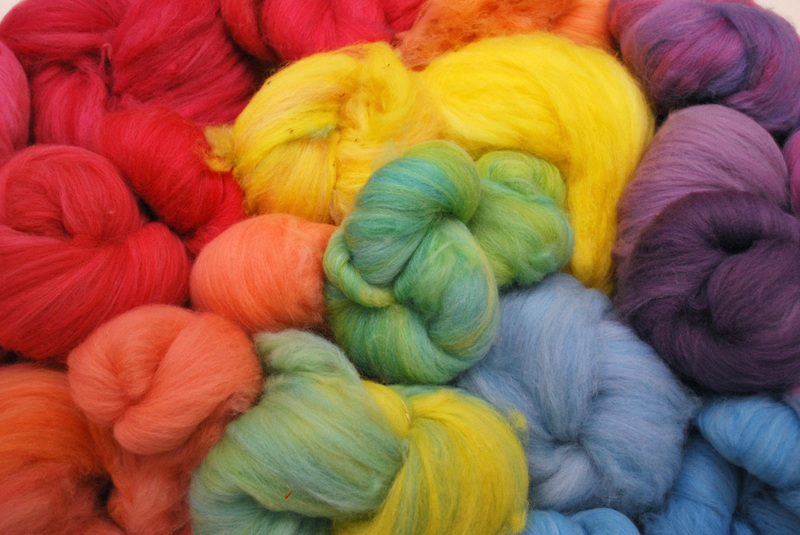 There is beautiful soft hand dyed wool for sale, vegetable-tanned and synthetically dyed bright colors, super fine merino wool with silk. Come to have a look!